What is the difference between the TakkStrip and the TakkStrip 2? Which one is best for your application? The TakkStrip and the TakkStrip 2 are completely compatible. You can mix and match the strips as you see fit. TakkStrip consists of 5 sensors each cast independently. 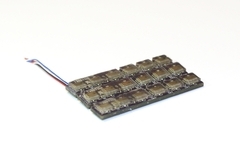 All of the components are mounted to the top face of the TakkStrip. 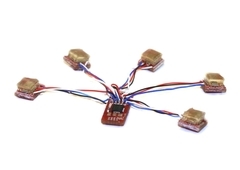 TakkStrip 2 consists of 6 sensors, 3 are cast as an array and 3 are cast independently. 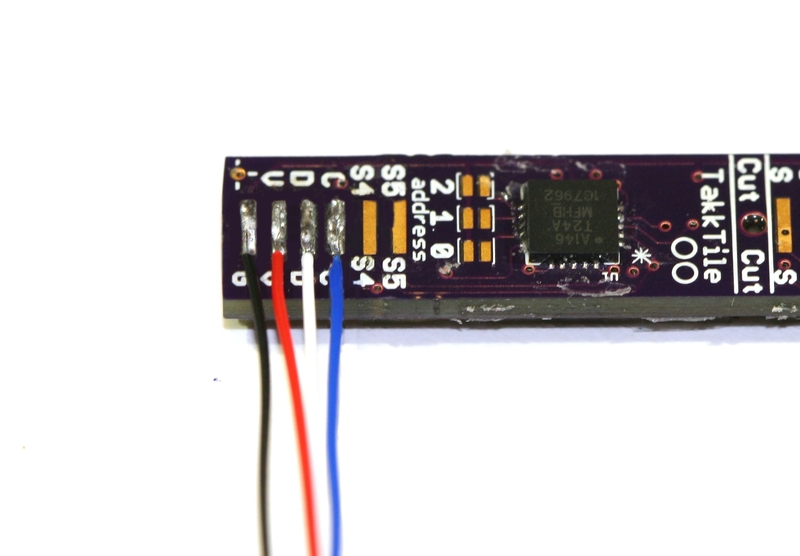 The sensors are mounted on the top face of the TakkStrip 2 while the supporting electronics and solder connections are located on the bottom face. TakkStrip is larger, measuring 62 mm in length and 8.6 mm in width. 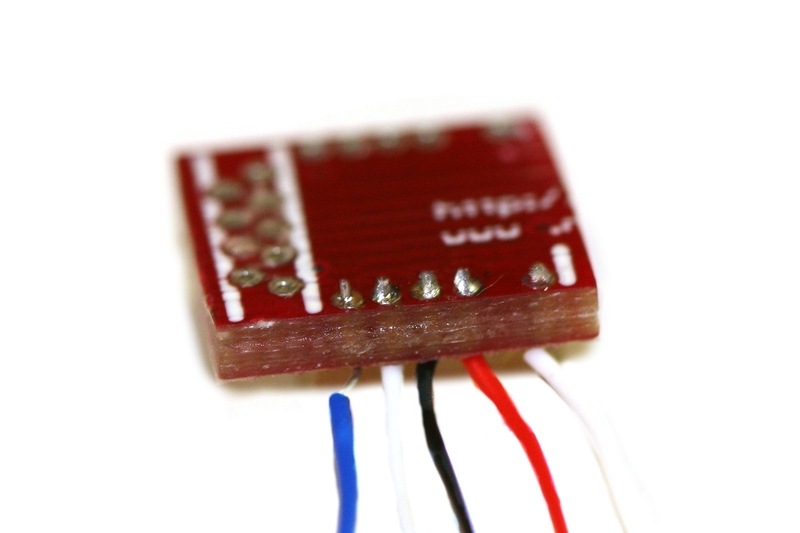 TakkStrip 2 is smaller, measuring 48 mm in length and 8.2 mm in width. 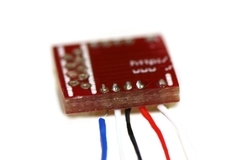 TakkStrip is wired together with through holes designed to fit 30 AWG wire. There are 5 chip selects so you can remove and wire in 5 individual taxels. TakkStrip 2 is wired together with solder pads located on the back of the strip. There are 2 chip selects so you can remove and wire in 2 individual taxels. TakkStrip is perfect for applications that require a lot of flexibility. 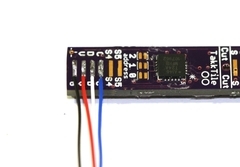 Sensors can be used together as a strip or separated into 5 individual taxels and configured to meet your needs. TakkStrip 2 is perfect for applications that require a surface to be paneled. Because three of the sensors are cast together it is easy to combine multiple strips and create an array to cover any surface. With soldering connections on the back all the wires stay out of the way.